A Quick Note: If an animal gets into your garbage, it is your responsibility to clean it up. Also littering on the road (We realize it is not always our residents) is unacceptable. Please lets' all pull together do our best to keep our community clean. Please refer to your copy of the PMWFCA ACRS (Rules & Regulations) for more about keeping PMWF clean. Every property owner should have a copy of these. If you do not, please contact the office and we will supply you with one. Below are Pictures of some of the Animals believed to be found in the area. There are also some that are NOT 100% confirmed. We will try to keep adding to the collection. 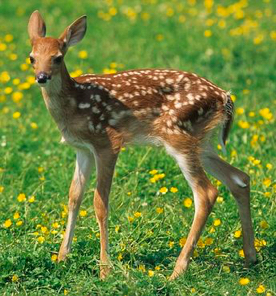 Deer are common in the mountainous region of the Poconos. The ones you will see around are the white tail variety. They are hunted for meat and for the huge trophy racks that a nice buck can grow. You are bound to see a few of them around. They aren’t as afraid of humans as they used to be. 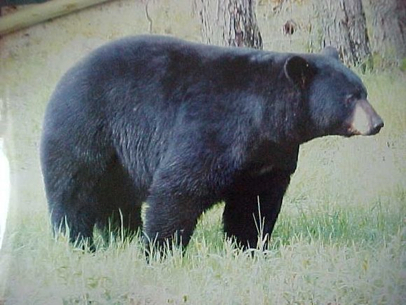 The black bear population is also quite high in northeastern Pennsylvania. The habitat is well suited for these furry beasts. For the most part they leave humans alone as the bears are just as afraid of you as you are of them. They have poor eyesight though. The best way to avoid contact with bears is to clean up after yourself. Never leave garbage lying around for the bears to smell. If they smell it, they will come. They aren’t afraid of humans when there is food involved. 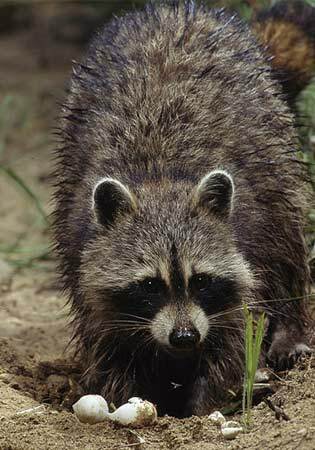 Among the other furry animals is the raccoon. These masked bandits should also leave you alone. You aren’t likely to see on during the daylight hours. If you do see one, be careful to avoid it. The ones that come out in the daytime are more likely to be rabid. The same goes for the opossum. You want to avoid them as well. They are feisty little buggers when cornered. You might think they are harmless, but those giant white rats have fangs. They are real scrappers for their size. They pretty much leave people alone also. A more adventurous bugger is the skunk. These black and white scroungers will walk right by you without you even noticing. You’re safe so long as you don’t threaten them. If you do, you might get sprayed. Trust me; you don’t want that to happen. You will stick for a week. Nothing can get that smell off of you completely. It has to fade over time and it’s nasty. Spend any amount of time in the forest and you’ll certainly come across some squirrels. They are fun to watch. But, don’t forget they are rodents. They are worse than rats if you get them in your house. Otherwise they are harmless and fun to watch. There are three types of venomous snakes native to Pennsylvania. 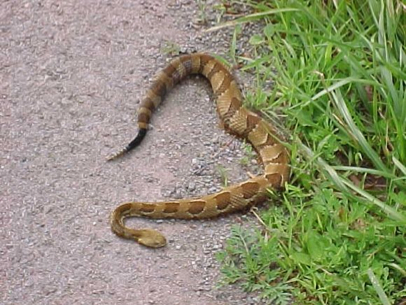 They are the Northern Copperhead, the timber rattler and the Eastern Massasauga Rattlesnake. The odds of you coming across one of these are slim. 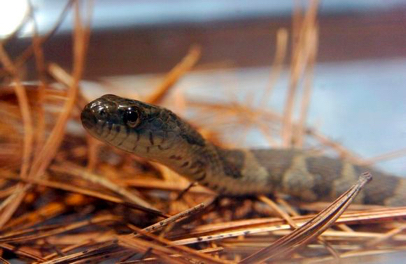 They aren’t nearly as common as snakes like the Milksnake or Watersnake. You shouldn’t let that stop you from hiking some of the great Pennsylvania hiking trails. Just be aware of your surroundings and avoid any contact with them. If you do that, they will avoid contact with you. Bobcats, named for their "bobbed" tails, have ears that resemble their feline cousin, the lynx. Bobcats are elusive and nocturnal, so they are rarely spotted by humans. 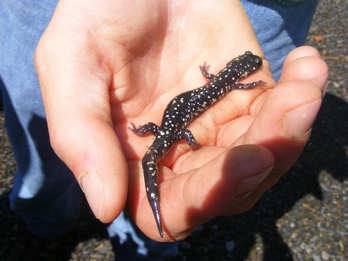 Although they are seldom seen, they roam throughout much of North America and adapt well to such diverse habitats as forests, swamps, deserts, and even suburban areas. Bobcats, sometimes called wildcats, are roughly twice as big as the average housecat. They have long legs, large paws, and tufted ears similar to those of their larger relative, the Canada lynx. Most bobcats are brown or brownish red with a white underbelly and short, black-tipped tail. The cat is named for its tail, which appears to be cut or "bobbed." Fierce hunters, bobcats can kill prey much bigger than themselves, but usually eat rabbits, birds, mice, squirrels, and other smaller game. The bobcat hunts by stealth, but delivers a deathblow with a leaping pounce that can cover 10 feet (3 meters). Bobcats are solitary animals. Females choose a secluded den to raise a litter of one to six young kittens, which will remain with their mother for 9 to 12 months. During this time they will learn to hunt before setting out on their own. In some areas, bobcats are still trapped for their soft, spotted fur. North American populations are believed to be quite large, with perhaps as many as one million cats in the United States alone. Did you know? 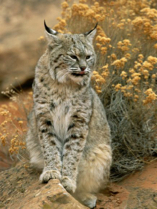 The bobcat is the most abundant wildcat in the U.S. and has the greatest range of all native North American cats. No doubt we have all seen Deer in our yards. The Pocono Mountains dominate this rocky and mountainous landscape with the Endless Mountains to the north and west and Blue Mountain framing the south. The Delaware River is the region’s eastern border. The Upper Delaware River Watershed, including the Pocono Mountains, is one of the most important eagle hotspots in the Northeastern United States, especially in winter. Glaciers played a significant role in forming the northeastern counties. As the ice retreated, numerous lakes and wetlands were created. This region has more lakes than any other in the state. Swamps, bogs and lakes dot the landscape. These wet areas are surrounded by damp northern hardwood forests. Cool mountain streams flow gently through some areas while rushing water cuts through steep ravines in places. 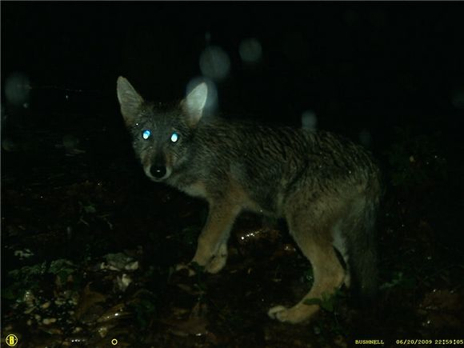 This photo was taken by a trail camera at Delaware State Forest. This photo of a bear was taken by a trail camera at Delaware State Forest. - See more at: http://www.poconorecord.com/apps/pbcs.dll/gallery? Scenes from the Bio Blitz at the Monroe County Environmental Education Center in Bartonsville on Saturday, June 21, 2008. - See more at: http://www.poconorecord.com/apps/pbcs.dll/gallery? 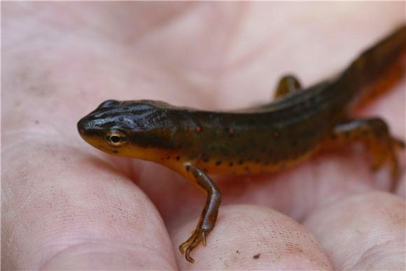 Red spotted newt identified during the BioBlitz held at Monroe County Environmental Center Friday through Saturday, June 20-21, 2008. 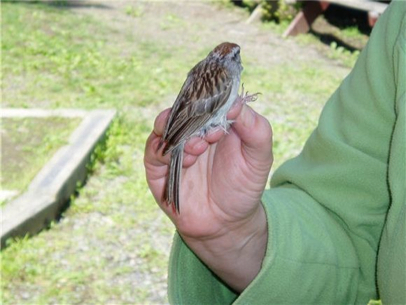 Chipping sparrow found during the BioBlitz held at Monroe County Environmental Center Friday through Saturday, June 20-21, 2008. Coyote pup spotted during the BioBlitz held at Monroe County Environmental Center Friday through Saturday, June 20-21, 2008. 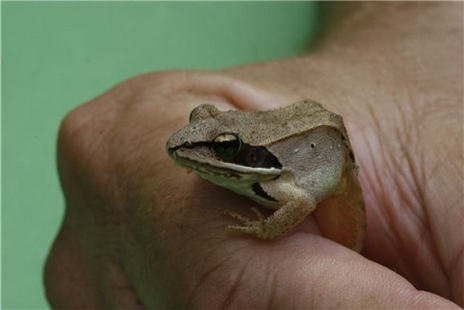 A wood frog discovered during BioBlitz held at Monroe County Environmental Center Friday through Saturday, June 20-21, 2008. I got this from an article. Seems to be a debate if they are really here. You can judge for yourself if you believe it or not. Just prior to the start of Pennsylvania’s two-week firearms deer season, the volunteers at the Eastern Puma Research Network put out a call to hunters. They wanted to hear from anyone who saw a mountain lion or signs of one, like tracks or scats. Lion sightings they got. Hard evidence that wild, free-ranging mountain lions are living in the state they did not. 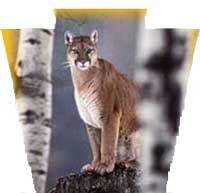 That doesn’t stop some from believing mountain lions do exist in the East. Lutz and several other volunteers are planning to travel to Bedford County within a few days of the next snowfall, in fact, to look for cougar sign because several sightings have been reported there in recent months. An Amish farmer along 944 in Cumberland County complained to the PGC a mountain lion was killing his sheep. They came out and investigated. Their conclusion: “Sir, you don’t have a mountain lion.” A week later the farmer shot the mountain lion. The very sad news: there was a PGC ear tag on it.